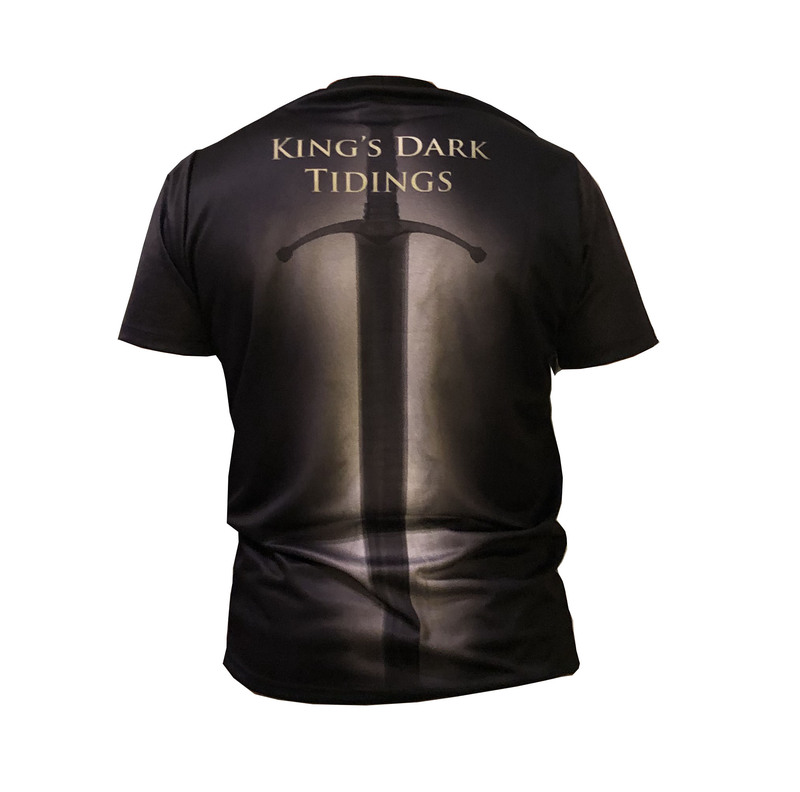 Polycotton T-shirt with original King’s Dark Tidings theme artwork by the talented Jon Tonello. Received the shirt today. I ordered an XXL and it runs small, not true to size. It fit more like an XL. The shirt is also 100% polyester, not cotton/poly as it is described. Lastly, the arm length is short, not just for the size of the shirt but shorter than one would expect. I like the design but not thrilled about the size and material. The shirt is made out of 90% Polyester and 10% Cotton. We will be happy to exchange it for a larger size. 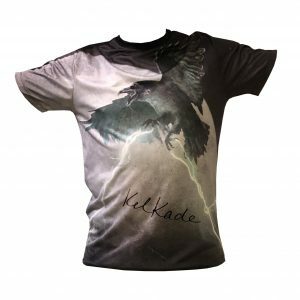 Please email us at support@kelkade.com to set up the exchange.